Do you have someone in your organization that seems to know what problems your customer is facing, their pain points, the highs and lows of their day? Do you have a place to go, a data source, to find out more information about your customer? If you don’t, you are not alone. For most companies, customer knowledge is hard to come by and if it exists at all, it is siloed in the customer facing parts of your organization, the sales and customer service organizations. Imagine the rocket fuel your innovation teams, the people deeper in your operation who are working to improve and grow your business, would have if they had rich customer insights available to them while they were exploring new ideas. They could become human centered innovators. I discovered an affinity for innovating with the customers at the heart of my work early on in my career. My boss sent me out to talk to a big customer, one who was complaining that the products we were building were not meeting their needs. I flew out there and just listened. I asked them why they were doing things that way, and discovered we weren’t that far off. If we tweaked our interface a bit and they changed how they were using our product a bit, not only would it work for them, it would do a lot more for them than our competitors’ product. To be clear, I wasn’t in sales, or even pre-sales. I was deep in the heart of R&D, a lowly software engineer developing a 3D graphics product. But my manager had the foresight to invest in building our customer knowledge. “What did you say to him??!! !” he asked after seeing our big customer turn from a complainer to an evangelist and partner. The return was tremendous as this customer helped us make a better, more valuable product, one that we were in a unique position to build and deliver to the market. And we developed our muscle for human centered innovation. I think every organization that wants to lead and grow should build expertise in human centered innovation. In fact, I’d even be so bold to state that those that don’t, won’t be around in 5 years. Our customers, the people we serve, are demanding experiences, solutions that do a better job of solving their problems. And our employees want purpose, to work on things that matter. Making the connection between their work and the customers they help is crucial for any organization to be vibrant, an inspiring place to work. The bottom line: investment in human centered innovation makes sense for every organization, large and small. I believe it’s the way business will be run in a future of automation. Machines will do the routine tasks that need repeatable and reliable consistency. 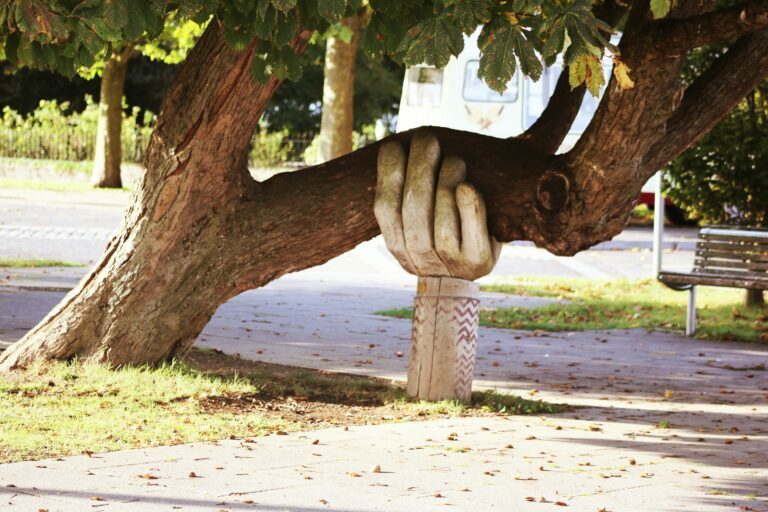 But we will be reliant on people to put a desirable, human interface on all those interactions. You may think that human centered innovation is only for big corporations with deep pockets, but that is not the case. Willem Nolens is the managing director of SolarNow, a small energy company out of Uganda. He used their call center to amass “lean data” about their customer’s barriers to success. The survey “delivered important feedback on when and why customers were unhappy with the product … and shed light on problems that were inhibiting customers from realizing the full potential of their solution”. It enabled their team to discover their customer pain points and explore innovative ways they could increase the value of their solution. They had such great results that they have institute a continuous customer insight collection mechanism so that the collection, analysis and sharing of customer data is a core part of their operation, accessible to all their human centered innovators. The innovation sweet spot is the secret weapon for organizations that have continued to grow and change even as the world changes around them. 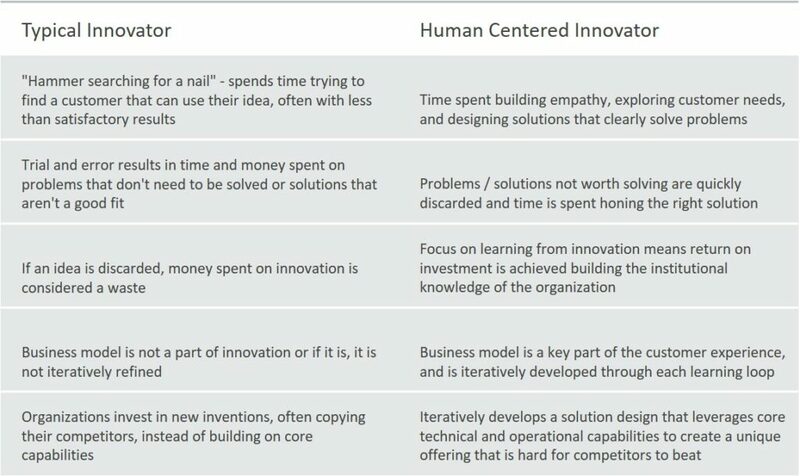 Want to know what it takes to be a human centered innovator? Download our Introduction to Human Centered Innovation eBook, and get started down the road to leading innovation in your organization today! I’m not certain the place you’re getting your info, but good topic. I must spend a while finding out much more or figuring out more. Thanks for wonderful info I was on the lookout for this information for my mission.